Fred Hellerman, 89, a member of Local 802 for 63 years, died on Sept. 1. 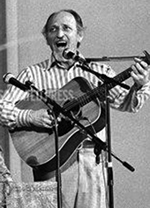 Mr. Hellerman was a folksinger, guitarist, producer and songwriter, and was the last surviving member of the Weavers, the group that helped spark the American folk revival starting in the 1950s. Together with Pete Seeger, Lee Hays and Ronnie Gilbert, the Weavers topped the charts and sold millions of albums before they were blacklisted during the McCarthy era and unable to perform for several years. But Mr. Hellerman also had a rich career outside the Weavers: he played guitar on the debut albums of Joan Baez and Judy Collins; he wrote songs for Harry Belafonte; he produced Arlo Guthrie’s 1967 debut album “Alice’s Restaurant” (and its successor “Arlo”); he conducted two albums for the folk singer and actor Theodore Bikel (also a longtime Local 802 member, who died last year); he wrote the music for the 1974 Sidney Lumet film “Lovin’ Molly”; he produced Pete Seeger’s 1979 album “Circles and Seasons”; and he performed with Peter, Paul and Mary on their 1995 album “LifeLines.” When he was 78, Mr. Hellerman recorded his first solo album, “Caught in the Act.” He made his final appearance onstage in 2014 at a memorial concert for Pete Seeger at Lincoln Center. Mr. Hellerman is survived by his wife Susan, sons Caleb and Simeon, and three grandchildren. Derek Smith, 85, a pianist and member of Local 802 since 1957, died on Aug. 19. Mr. Smith began his professional career in his native England, playing with John Dankworth, Kenny Graham and Kenny Baker, as well as recording for the BBC. In the late 1950s, he came to NYC and almost immediately found work. He recorded with the Modern Jazz Quartet, formed a trio, and got a gig performing opposite Mel Torme and Ella Fitzgerald at Basin Street East. He recorded and toured with Benny Goodman’s band starting in 1961. 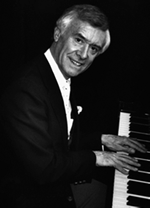 Later, Mr. Smith won the piano chair of the prestigious “Tonight Show” band under Doc Severinsen; he played there from 1967 to 1974 while keeping up a prolific recording and performing schedule. He recorded albums with Dizzy Gillespie, Buddy DeFranco, Louis Bellson, Milt Hinton and Clark Terry, Burt Bacharach/Dionne Warwick and Steve Lawrence/Eydie Gorme. He played on soundtracks, including two Woody Allen movies as well as Martin Scorsese’s 1993 film “The Age of Innocence.” Mr. Smith headlined jazz festivals around the world and played with Frank Sinatra, Luciano Pavarotti, Placido Domingo, Robert Palmer and Charlie Watts. He collaborated with lyricist Sammy Cahn and comedian Steve Allen. His trio album “Love for Sale” was nominated for a Grammy in 1989. Mr. Smith is survived by his wife Shirley, daughters Helen and Valerie, grandchildren Samantha, Trevor, Jared and Ryan, and brother Douglas. See Bill Crow’s column for some personal reminiscences of Derek Smith. Christopher John Miele, 56, a member of Local 802 since 1989, died on July 31. Mr. Miele, who studied at the Boston Conservatory, was a multi-instrumentalist who specialized in clarinet, flute and all the saxophones. 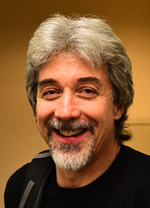 He performed on many Broadway and Off Broadway shows and tours, including the first national tour of “Jersey Boys.” He also played with the American Composers Orchestra and with Luciano Pavarotti, Jose Carreras, Joshua Bell, Nadja Salerno-Sonenberg and many others. Mr. Miele loved to perform and teach young aspiring musicians. He enjoyed traveling, hiking and biking, and had a passion for ethnic food. He loved all types of cultures and was fortunate to have traveled the world thanks to his music career. In addition to his wife Kanako and his mother Marjorie, Mr. Miele is survived by his sister Lisa Fabiano (and her fiancee John); brother Stanley (and his wife Sandi); brother Daniel; nephews Joey, Anthony, Tyler, James and Charles; nieces Ari and Tina; and many aunts, uncles and cousins. The family suggests donations to the Boston Youth Symphony in Mr. Miele’s name. See www.bysoweb.org/donate.